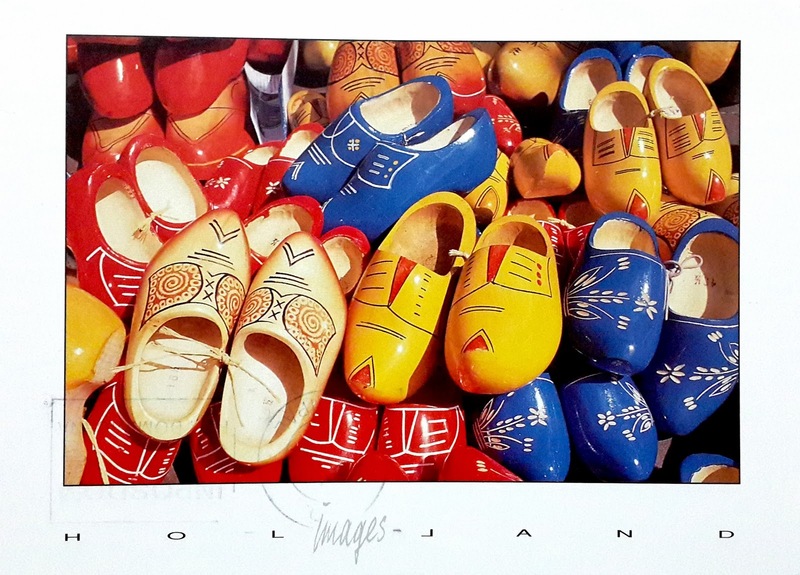 (THE NETHERLANDS)- It was a beautiful surprise to receive a colorful postcard from The Netherlands showing the typical wooden clogs of Holland named "komplen". Katka says that time ago this type of clogs were used by hardworking people and also farmers, but nowdays is only used by tourists (I guess while buying them)... Anyways, as Katka wrote, using wooden clogs would be definitely very uncomfortable. Postcard is postmarked and has a stamp for international delivery. 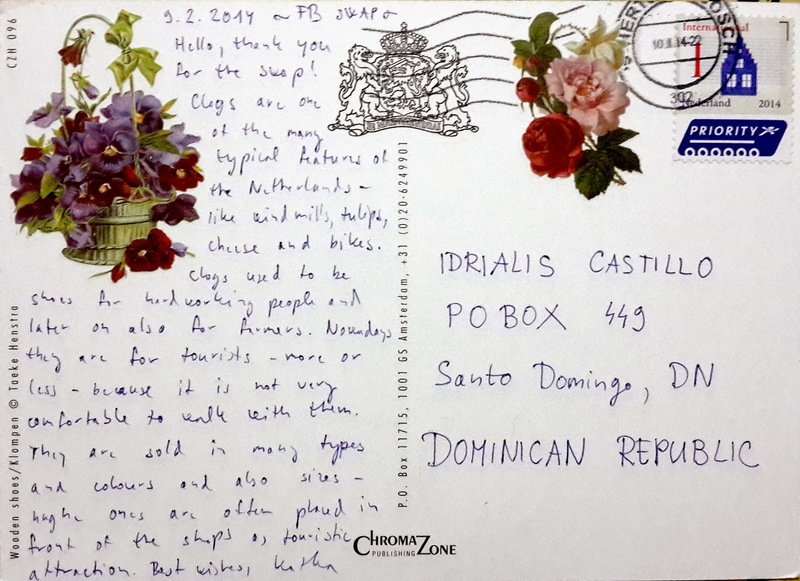 (PAÍSES BAJOS)- Fue una bonita sorpresa recibir una colorida postal desde los Países Bajos, mostrando los típicos suecos de madera de Holanda llamados "komplen". Katka dice que tiempo atrás estos suecos eran usados por los obreros y granjeros, pero que hoy en día solamente son usados por los turistas (supongo que mientras los compran)... De todas maneras, como dice Katka, usar estos zapatos sería demasiado incomodo. La postal tiene dos matasellos y estampilla para envíos internacionales.